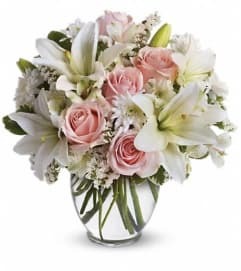 Like a ray of light, this radiant white and crème bouquet of roses, lilies and alstroemeria will brighten their day. 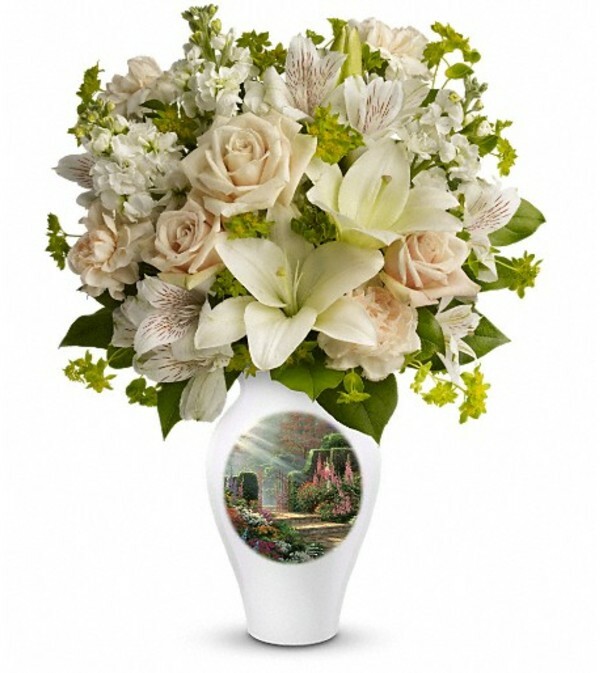 This lovely arrangement is perfectly paired with a graceful ceramic vase featuring Thomas Kinkade's beloved Garden of Grace painting. 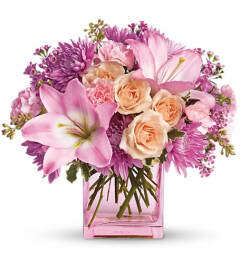 Includes crème roses, white asiatic lilies, crème carnations, white alstroemeria, white stock, bupleurum and lemon leaf. Delivered in an exclusive Thomas Kinkade's Garden Vase.